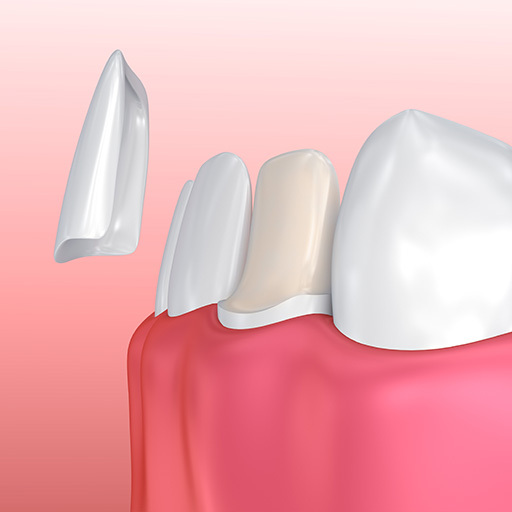 Veneers are tooth-coloured shells that are bonded to the front of your teeth. Usually made from porcelain or composite resin, they modify the shape and colour of your teeth, as well as enhance your smile. Patients with healthy gums and teeth are ideal candidates for veneers. To evaluate your suitability, our dentists will conduct an examination of your teeth, followed by an x-ray. If you are unsuitable for veneers, our dentists may recommend other procedures, such as crowns or braces, which can deliver the desired results.